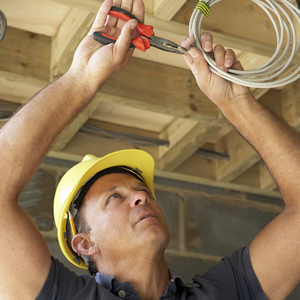 One of our specialties, at Electrical Solutions, is installing, repairing, and replacing electrical wiring. From replacing outdated aluminum wiring to installing new electrical copper wiring our skilled New Castle County electrical wiring contractors are reliable, professional and follow Delaware’s electrical code and safety standards for your safety and peace of mind. Whatever your electrical wiring needs are, Electrical Solutions is the New Castle County electrician you can trust to get the job done right the first time.